Need an easy to use and wonderful restaurant WordPress theme? Want to get your site up in no time and showcase the fine cuisine, appetizers, entrees, and desserts at your establishment. 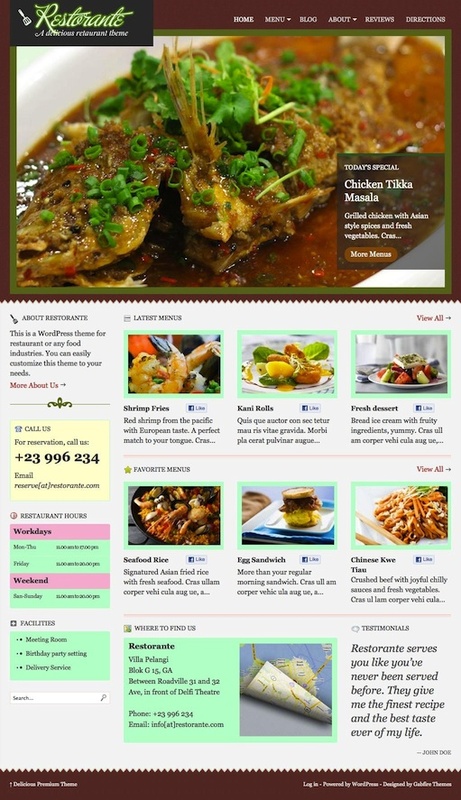 Then, Restorante is the perfect theme for your food site. Features include menu card, google maps integrated, featured signature dishes and more.